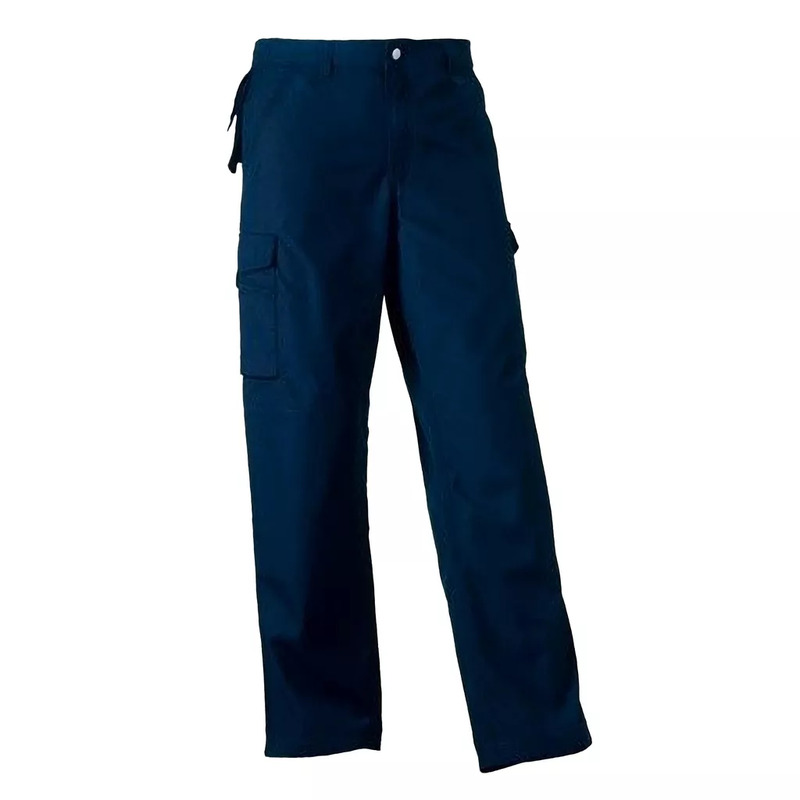 Suitable for 60°C wash and specially designed to last in physically demanding work environments. Hardwearing trousers combine contemporary cut with excellent fit and versatile pockets. Triple stitched inner leg seams and pocket openings. 2 back pockets, one open, one with flap. Cargo pockets on both legs, with practical compartments on right leg. Mobile phone pouch below waistband. Internal pockets for knee pads (21cm x15cm max). Trousers provide ample room for decoration.